Combine, and macerate for at least an hour. Serve with ice cream. Adding a touch of sugar and lime sounds perfect! Yum! 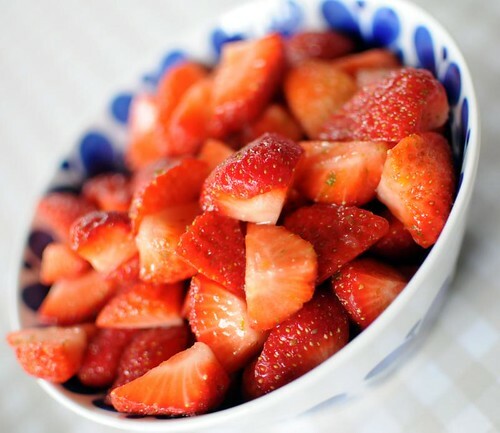 Strawberries doused with a just a liiiittle splash of balsamic vinegar is also a great touch! this is divine! new summer favorite!